← What Is A Flare? Medications and Supplements – The first photo shows exactly half of the meds and supplements that I packed for Canada this summer. This is three weeks worth of meds and supplements. (I was in North America for over five weeks.) I think I eat more supplements than actual food – magnesium, SAMe, probiotics, C0Q10, Vitamin C, D, and calcium, and my beloved D-ribose for energy, plus my medications. My docs insist I need to keep up on all of this, so these medical bags go wherever I go if I’m going somewhere overnight or they go in my carry-on luggage when I travel. 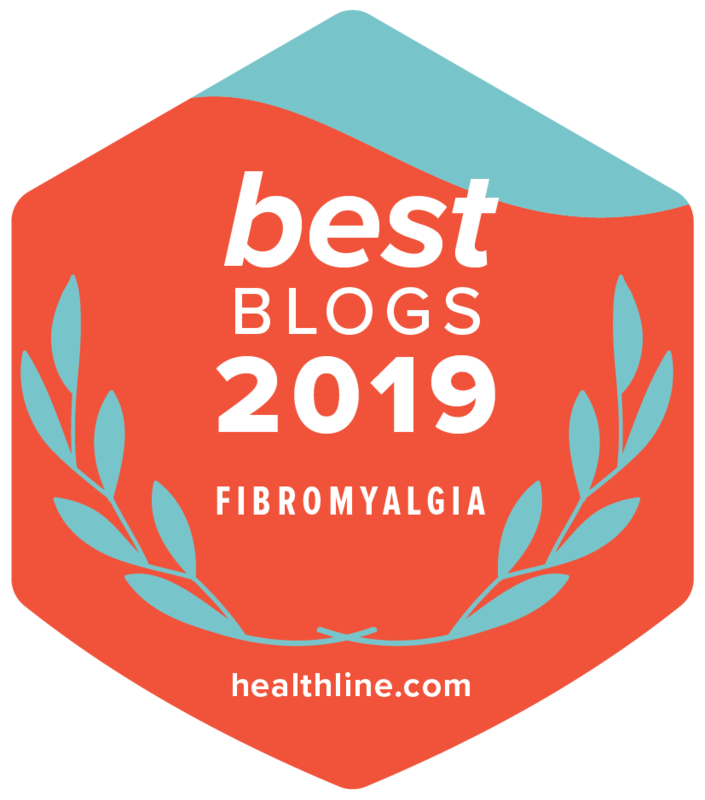 A firm mattress with lots of pillows – My husband has a great time complaining about how many pillows I have, but most fibro and AS patients I’ve met have told me they can’t live without pillows. I have them everywhere in my house and I have one that I take out in public if I need it. When I’m lying flat in bed, I prop my knees up on a pillow. When I sleep, I keep a pillow between my knees because it helps to keep stress off my back. I have slept with four pillows and my husband for the last two years. When we travel, the first thing he takes care of when we check into a hotel is a call to housekeeping to order extra pillows for me. Foam pillow – It cradles my head and neck and assists by keeping my head in place. I rarely go anywhere overnight without one. Bean bag pillow – I use this to prop under my arms if I’m experiencing muscle fatigue in my arms. A heating pad – I live on and under heating pads when I’m in a severe flare, especially during cold weather. I can’t handle cold weather. It makes me really sick. Ice packs – I only use these during the summer in Taiwan when my joints swell up. Compression wraps – I wrap my legs when they swell during the summer and put the ice packs on top of my wraps to help with the inflammation. I also have compression wraps for my elbows and hands when flares hit these areas of my body. Pain patches – I buy my patches in Taiwan and I use them all the time. I use them mostly on my shoulders, neck, and back. They have enough topical pain medication in them to assist with tight muscles and fascia issues. The main ingredient in these patches is sodium diclofenac. When I wear these out in public, my friends tell me I smell like a Chinese medicine shop, but these patches help and I can’t live without them. Soft sheets – These are a must. I have severe allodynia from my fibromyalgia. I use the softest sheets I can find so I don’t aggravate it. I also have to be careful about what I wear when I’m flaring. Blankets – I get cold really quickly. The only way to describe what happens to me when I get cold is that I go into shock and I immediately get sick. I have soft, warm blankets all over our house. I also have light blankets for the summer if my husband has the A/C on. Soft, comfortable pajamas – I have more pajamas than nice clothes. All of my clothes are bought for comfort. I don’t wear heavy jewelry. I prefer loose shirts with no collar and no buttons, loose pants with no buttons or ankle cuffs, and loose socks. Tight socks make my legs swell. Skinny jeans are a no-no. Bras are torture – absolute torture. Arnica gel – I never leave home without a tube. I’ve got them stashed all over the house for relief from tight muscles. Magnesium oil – My friend recently sent me a roll-on magnesium oil tube for my purse. It helps with muscle pain. CBD cream – This is a medical marijuana cream without the THC component that gets you high. Cold-brewed tea – Cold-brewed tea is a comfort drink for me. I very rarely drink anything other than water, so I buy fruit tea infusions to add some variety to my diet. I also like hot licorice tea if my stomach is upset. Epsom salt baths – I take a bath with Epsom salts at least twice a week, even during the heat of the summer in Taiwan. Epsom salts help ease muscle tension and help me relax. Essential oils – I always add essential oils to my Epsom salt baths. I use jasmine, bergamot, lavender, ylang ylang and sweet orange for different things, such as mood enhancement and relaxation. I also use an essential oil diffuser in my room to help me relax before bed. Coloring books and markers – I color a lot. I use coloring books as a distraction from pain and fatigue. Relaxing music – I always listen to relaxing music just before bed. I also listen to music when I’m flaring because it helps to distract me from the pain. Last summer, I decided to take the opportunity to learn more about classical music. One upshot to being in a flare is that I can use music and books as a distraction. I don’t think I’d have tried listening to classical music if I didn’t have these invisible illnesses. Scented candles – Candles make everything better and the soft light helps me relax. Patience– I have to have patience with myself if I want to get through a flare. If I push myself too hard or I’m not willing to just ride it out, the flare will last longer. Resting isn’t easy but as the meme that’s been going around says I have to remember that when I’m resting I’m still doing something very important – I’m healing. How do you handle your flares? Do you have a flare survival kit? I’m curious. Please leave me a comment and let me know how you cope and what you cope with! I’m sorry, Alexandra. I have all the same stuff, but we don’t get pill bottles here in Taiwan. Everything comes in little paper bags. I haven’t been able to get access to biologics in Taiwan yet. I’m hoping that they will allow me to try them sometime soon. Yup, pills, pain patches, and everything. Thank you for sharing. Pillow nests are the best, right? I totally understand your comment about clothing and jewelry too, Alexandra. This past week, I got my husband to bring out my winter wardrobe and I decided to give away all my jeans except for two pairs that are still semi-comfortable. The rest of them were not comfortable. My PJ wardrobe is bigger than my actual going out wardrobe, so I might as well embrace the PJs forever. I hope you have gotten into getting some cool PJs so you can rock your day look, in bed or out. Keep your doggie close and spoons to you, Alexandra. I hope you find some relief soon. I never thought of a survival pack. I use my tens unit a lot and i request physical therapy which hurts but helps. I also have a real bad back…bulging discs all down my back…I can relate to the pillows…i have to use what i have none are made special…wish they were :). Very tired now. If i can find you again I’ll continue this conversation. Hi Andrea. I have a TENS unit, but it seems to make my pain worse and I don’t know why. It drives me bonkers. The best trick for me is a hot magnesium bath and bed with distraction techniques. Lots of art therapy. I hope you are feeling better too and that this one doesn’t last so long. Spoons.